Published: Feb. 8, 2012, 1:45 p.m., Last updated: Feb. 8, 2012, 5:35 p.m. The Final Appeals Committee of the Advertising Standards Authority has overturned a ruling that an advertisement by Solal was in breach of Appendix F. The advert in question implied that a Solal product containing Omega-3 reduced the risk of heart disease. The original ASA ruling, following a complaint from Kevin Charleston, found that the advert breached Appendix F. This appendix limits what advertisers can say about a range of medical conditions, including heart disease. In this article Kevin Charleston shares his thoughts on this case. This is Solal's attorney, Saul Shoot of Fluxmans, who writes obnoxious letters of demand. Judge King said Solal "plays the man ... not the ball". This ruling is a bit of a curate’s egg (good in parts). First the bad bit: the ruling suggests that Appendix F only applies to adverts targeting individuals who have the particular diseases and conditions listed under Appendix F. To me this is a narrow interpretation. It means that anyone could claim in an advert “Our [quack product] prevents you from getting cancer” – or more egregiously “our magic shower-heads will prevent you getting HIV/Aids”. Now, there is no doubt that both of these claims could be addressed with the veracity requirements. But to me, the point about Appendix F is that there are certain classes of illness which are sensitive enough to get special treatment in preventing specific medical advertising claims. I don’t see much point in disallowing a statement that “Our [quack product] reduces the severity of your cardiac arrest” but allowing an advert that states “Our [quack product] prevents you getting a cardiac arrest”. As an overweight sluggard, I’d much rather believe that a pill is going to prevent my impending doom, rather than making the difficult lifestyle changes of getting exercise and eating less. Then a good bit: the ruling clearly indicates to me that not only is Appendix F part of the ASA Code, but also that the ASA is able to administer and make rulings in regard to appendix F.
And a really good bit: Judge King clearly agrees with me that Solal have been "playing the man and the referee, but not the ball" in this matter. I have found the personal attacks by Solal to be distasteful, and the letter of demand threatening. Judge King finds "the allegation of fraud and abuse are prima facie baseless". What is a little frustrating is that, despite this clear reference to the bullying tactics of Solal, they have received little more than a telling-off. The irony for me in Solal’s behavior is that all of it was unnecessary. Had they treated the complaint on its merits, instead of labeling it as "fraudulent", "malicious" and in "bad faith"; I might not even have responded to the first appeal. The really relevant arguments were difficult to understand and argue against. I personally had little answer then to the ability of the ASA to rule in regard to Appendix F. As a consumer I took the "code" in good faith – if it wasn’t quite correct, then I felt it was an issue for the ASA to resolve. As indicated above, I do feel there are broader issues at play - and also that Appendix F is a reasonable and very narrow restriction on free speech. Had Solal not issued a letter of demand for R360,000; directly linking it to the Final Appeals Committee appeal – It was unlikely I would have engaged counsel. In the final appeal, Solal abandoned their claims and attacks - the very basis of their demand letter; but they have refused to retract it or make any form of apology. Their aggressive actions have done them no favours and I shall be seeking opportunities to make this knowledge as widely known as possible. Editor's note: In case readers are under the impression that it was Saul Shoot's legal representation that got Solal off the hook, it wasn't. 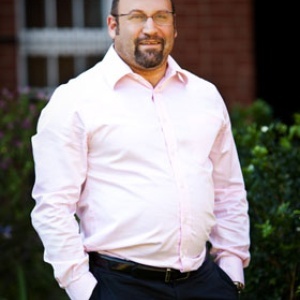 Solal was represented at the Final Appeals Committee hearing by one of South Africa's leading advocates, Wim Trengove, who argued the case solely on its merits and did not engage in any of the misbehaviour of Solal's attorneys. If anything Saul Shoot's actions put Solal at risk of losing money, as Judge King's ruling makes clear. Solal has had numerous complaints lodged against it at the ASA. This is one of the few that has gone in its favour. The photograph of Saul Shoot is copied from the Fluxman's website as fair use.